If you have a new motor vehicle–car, light truck or motorcycle–that is always in need of repair, you may be able to receive a refund or have the vehicle replaced if attempts to fix the vehicle have failed to correct the problem and the problem substantially impairs the use and market value of your vehicle. 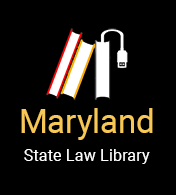 When does Maryland’s Lemon Law apply? The vehicle has been driven less than 18,000 miles AND has been owned for less than 24 months. Even if you aren’t the first owner, the Lemon Law might apply to your vehicle if the first owner bought the vehicle less than 24 months ago and the vehicle has been driven less than 18,000 miles. What does the vehicle owner have to do? Send the letter to the manufacturer by certified mail. You do not need to wait until you confirm that the dealer cannot make the repairs. After the manufacturer receives the letter, what must the manufacturer do? The dealer or manufacturer must correct the defect free of charge within 30 days after the manufacturer receives your letter. What if the dealer or manufacturer can’t fix the vehicle? If the dealer or manufacturer can’t fix the vehicle after the specified number of repair attempts and the problem substantially impairs the use and market value of the vehicle, you may choose to get your money back or get the vehicle replaced. What does it mean that the dealer or manufacturer can’t fix the vehicle? The dealer or manufacturer has one chance to fix a brake or steering failure that causes the vehicle to fail Maryland’s safety inspection; if this fails, you may choose to get your money back or get the vehicle replaced. The dealer or manufacturer has four chances to fix one defect that substantially impairs the use and market value of the vehicle; if this fails, you may choose to get your money back or get the vehicle replaced. If the vehicle is out of service for a total of 30 or more days because of a defect, you may choose to get your money back or get the vehicle replaced. The 30 days do not have to be consecutive days of being out of service. Should I file a lawsuit against the manufacturer of the vehicle if the vehicle is not repaired? If you find that you need to file a lawsuit in court to make the manufacturer comply with the Lemon Law, you have three years to file a lawsuit. You will need to prove that the vehicle is defective, which may require that you have an expert witness help you prove there is a defect covered by the law.